BlackBerry Maker and Motorola Trade Lawsuits | BlackBerry Blast! 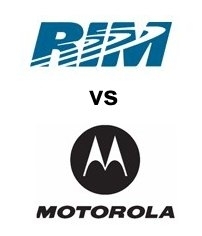 Research In Motion Ltd. and Motorola Inc. have sued each other over several patents used for wireless devices such as RIM's BlackBerry and Motorola's Razr. Motorola was first to pull the trigger asking a U.S. judge in Marshall, Texas, to order RIM to stop infringing on their patents RIM turned right around and filed its own suit in federal court against Motorola. RIM's lawsuit says Motorola is breaching commitments it made to license essential patents to competitors on a fair and reasonable basis. It also claims that Motorola is violating nine of RIM's patents. Needless to say, the stakes are huge for RIM.